Canoe Ridge Creations: elf on the shelf + iowa. elf on the shelf + iowa. oh, and speaking of small town iowa. 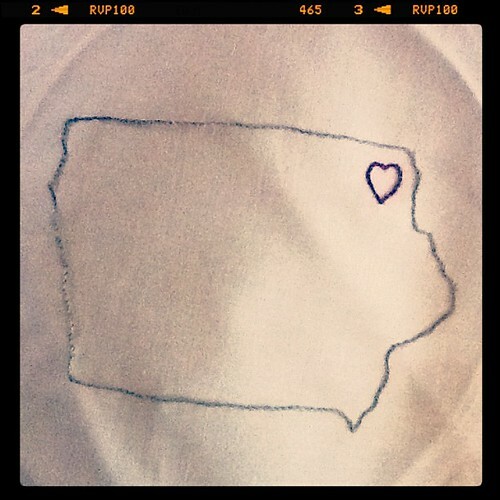 the other night i was in need of a little holiday sewing distraction, and hand embroidery was the answer. i think it's destined to be a little mini quilt. are you ready for the big day? just a little over a week away! eeeeppp! Oh my! Those are funny. We have two elves: Elphie (short for Elpheba) and Jingles who are not TRUE elves on the shelf, but stand in very well just the same. I have been posting pics on them at my blog and on my pinterest. But this pics are even more fun....just not ones I can use for the kids! Oh, and no, I'm not ready. I have two gifts to finish and I'm nowhere near! Bwahahaha, can't wait to see what you come up with! 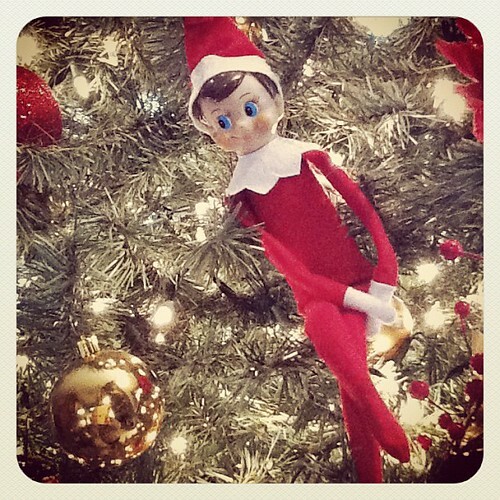 Love your elf! We used to be told the fairy on the christmas tree told father christmas whether we'd been good or not when he came. I'd never heard of elf on the shelf and I was just thinking (following your link) what a lovely idea it was when I read about registering their adoption online, which sort of killed the magic for me. I must be too old fashioned - or maybe just too old :( I'd like to have an elf outside the system who speaks to santa direct!